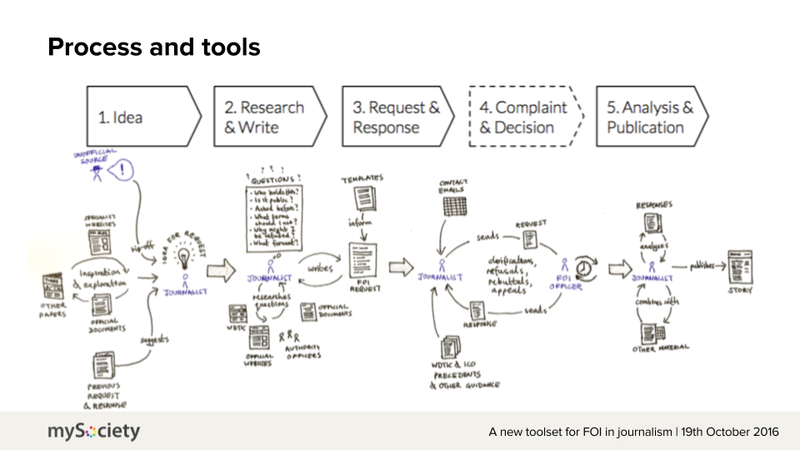 Our Freedom of Information toolkit for journalists, WhatDoTheyKnowPro, will have its official launch very soon — and we’re glad to see that it’s already beginning to help generate high-profile news stories based on FOI requests. During development, several journalists have been putting it through its paces and offering us invaluable feedback which has helped us shape the service — and meanwhile their activity is also uncovering stories of genuine interest. These give a taste of exactly what kind of investigative stories can be supported by WhatDoTheyKnowPro, which makes requests to multiple bodies simpler, as well as organising the responses so that they’re easier to manage. Open Democracy and the Ferret uncovered how Vote Leave used a loophole to funnel hundreds of thousands of pounds through a student’s small-scale campaign. The story was subsequently run by multiple other news outlets and legal proceedings towards a judicial review have begun. Scrutiny of documents from the College of Policing revealed that much of its income was coming from countries where there is concern about human rights. The story, by Lucas Amin, was run by the Guardian in September. Investigative journalism platform the Ferret uncovered this story in July, detailing how much public money was spent on senior staff attending a charity dinner with Barack Obama. Back in June, this story by Claire Miller and James Rodger analysed figures from the FCO on where Brits had been detained and obtained consular support, allowing them to state which countries had the most arrests, and how figures had changed over time. The story ran in the Birmingham Mail and was also picked up by other publications in the Trinity Mirror Group. We’re delighted to see such good use being made of WhatDoTheyKnowPro, and we anticipate many more stories emerging once it has fully launched. Back in December we told you about our application to innovateAFRICA, for funding to launch our Alaveteli Professional project in Kenya. Well, we’re delighted to say we’ve been shortlisted for a grant. innovateAFRICA judges will take a few weeks to consider shortlisted applications, and winners will be announced on 30th January. In the meantime, we thought we’d ask the project’s coordinators, Henry Maina from ARTICLE 19 East Africa and Louise Crow from mySociety, to describe the project in a bit more detail and explain why they think it’s so important. What is the Alaveteli Professional project? Louise: Alaveteli Professional is a new toolset that we are currently building as a companion service to our existing Alaveteli software. Alaveteli is mySociety’s open-source platform for making public freedom of information (FOI) requests to public bodies. Alaveteli Professional will provide journalists and those who use FOI in their work with extra functionality and training to ease the process of raising, managing and interpreting FOI requests, which can be a very time consuming and overwhelming task. This is so that they can spend their valuable time on creating more high-impact journalism and research that holds public authorities to account. Why bring the Alaveteli Professional project to Kenya? Henry: The project will enable more Kenyan journalists to utilise one critical tool in their armoury: namely the Freedom of Information law enacted on 31st August 2016. It will also complement our earlier training of 25 journalists on the FOI law. Louise: innovateAFRICA funding will allow us to bring our newly developed toolset to the Kenyan context. The toolset will have already been tried and tested by journalists in the UK and Czech Republic, so we’ll use examples of how these European journalists have successfully used the platform to generate stories in our trainings with Kenyan media. Simply building these tools is not, on its own, enough. For this reason, the Alaveteli Professional project in Kenya will also involve refining the tools for the Kenyan context, the training of journalists, the creation of support materials and the provision of direct assistance in making and analysing requests. From ARTICLE 19’s experience of training Kenyan journalists on the new FOI law, how will the Alaveteli Professional project help them with their work? Henry: ARTICLE 19 has trained journalists on the Freedom of Information laws in Rwanda, Kenya, Uganda and South Sudan. In all our past training, we created manual request protocols and follow-up required making telephone calls. The Alaveteli Professional project will help most journalists to easily file, track and share information about information requests in an easy to engage, review platform. Why is it so important for journalists and citizens alike to hold authorities to account in Kenya? Henry: First, journalists and citizens are keen to understand why and how their public servants and officials take decisions. Second, citizens have a right to participate in the management of public affairs and effective engagement is only possible if the citizens are well informed. Will the project also benefit Kenyan citizens who aren’t journalists? Louise: Yes. Providing journalists with the extra toolset requires us to first install a standard version of Alaveteli. Therefore, alongside citizens in 25 other countries in the world, Kenyan citizens will be able to use the platform to easily send requests to public authorities, or, as all responses to requests are published on the site, browse already-released information. Citizens will also benefit even if they don’t use the site at all: they’ll benefit from news stories that expose corruption and mismanagement or missing funds and so on, and thus hold those in power to account. What impact will the project have on Kenyan information officers/civil servants? Henry: The project is likely to have great impact on Kenyan information officers and public officials. First, it will offer an objective platform to recognise and reward civil servants that enhance access to information as they will be able to manage requests more efficiently. Second, given the trend in questions, officers will be aware of the information that they can and should proactively disclose to lessen individual requests. Third, it will bolster ARTICLE 19’s ongoing work of training information officers that seeks to help them better understand the law and their obligations under it. Four, most of the government decisions will gain traction with citizens as there will be publicly available information on why and how such decisions were arrived at. What lasting impact do you hope the project will achieve? Henry: The Kenyan government will be more transparent and accountable, journalists will be more professional and their stories more credible and factual, allowing the country to entrench democratic values. Louise: As with all our Alaveteli projects, we hope the project will amplify the power of Freedom of Information and open government, by giving a broad swathe of citizens the information they need to hold those in power to account, and to improve their own lives. So there you are — a little more detail on why we hope to bring Alaveteli Professional to Kenya. We hope you can see the value as much as we can! If so, and you’d like to help support the project, please do tweet with the hashtag #innovateAFRICA: every such public show of support brings us a little closer to winning the grant. Some journalists focus on very specific areas in their use of FOI. 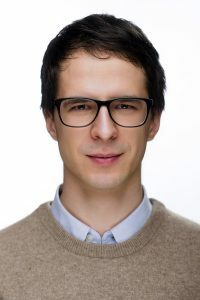 Dániel G. Szabó is an editor on Hungary’s Atlatszo Oktatas, a blog hosted on the major news outlet Atlatszo, and run largely by students. He revealed how FOI has been the key to exposing corruption in the country’s student unions. Our project Transparent Education was established on freedom of information. It’s a blog focusing on corruption in higher education in Hungary, with a very heavy reliance on freedom of information requests and the analysis of the data acquired through FOI. Hungarian student unions, where future political elites learn the basics of democracy, are infected with corruption and our blog works to reveal it. We established the national jurisprudence on the accountability of student unions: courts ruled in our cases for the first time that student unions are to respond freedom of information requests and their expenditures should be transparent. We sued many state-financed and also religious schools, and tracked the fate of several million euros spent by student union officials who are in their twenties. Without freedom of information laws and court rulings, the data on these funds would have never came to light. In Croatia unfortunately, there still remains a culture of secrecy, left over from the previous regime when everything connected with the state, public authorities, local governments and public companies was enveloped in a thick veil of secrecy. To a great extent, it still is. But the paradigm is changing and the public are beginning to demand and expect the important principles of transparency and openness, for data to be available to the public and in an accessible format. That said, the government still has a fear of citizens as the people who vote them in. It’s clear that many facts are still hidden despite the existence of the Information Commissioner. We still have not reached the level of openness that many other countries enjoy as standard, or at least are on their way towards. The FOI Act is a valuable tool for journalists, and in Croatia its true potential is just being discovered. We have the right to access accurate information in a timely fashion thanks to the Media Act, but unfortunately it often happens that spokesmen for the public authorities hijack access to information. FOI allows journalists to obtain this information — and by using the Alaveteli website imamopravoznati.org journalists can follow their own requests, and also track other interesting questions and answers from public authorities. Since transparency is key to democracy and a fundamental prerequisite for ensuring public confidence in the work of institutions and politicians, the right of access to information is an important tool in all fields of social engagement in Croatia. Journalists and civil society organisations often expose the bad work of politicians through this tool. Check the next installment to learn how a journalist in Hungary uncovered a mire of corruption… in Student Unions.